Use Django's ORM to model remote API resources. In this diagram, the repository can be whatever you want, the only requirement is that it handles standard HTTP requests. 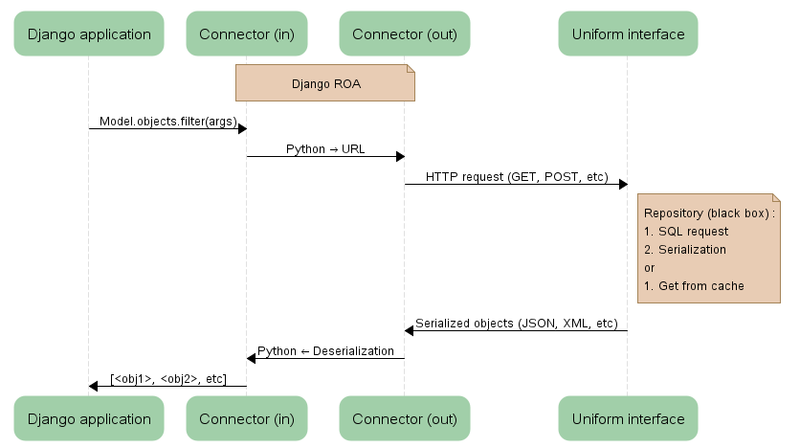 As a developer all you have to do next is to use Django's ORM in your Django application (connectors are part of Django-ROA). If you know how ActiveRecord works (from RoR), that's very close to it. 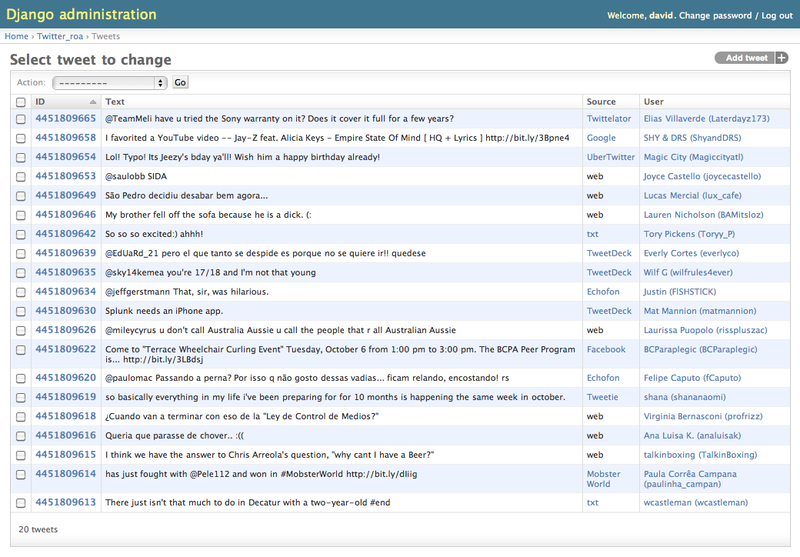 Now you'll even be able to clic on users to go to the Django's admin view. And so on. You can find me in #bgk@irc.freenode.net as david`bgk or through my website. Go to the issue tracker, verify you request doesn't exist and then submit it.